Dogs have been loyal friends to the humankind throughout history. Numerous cultures even used them in herding, hunting, security, and transport. This meant the beginning of sledding that was only slightly different than today. The places with harsh winters were where sledding began. Though winters were cold, they still had work to do and supplies to transport. So, subarctic communities around the world used canines for sledding as their primary mean of transportation and communication centuries ago. They used dogs to deliver food, furs, mail, firewood, gold, mining tools, and all kinds of other supplies to camps and towns that were far away. Many experts say that the success of living in those remote and harsh areas should be attributed to sled hounds and their cooperation. 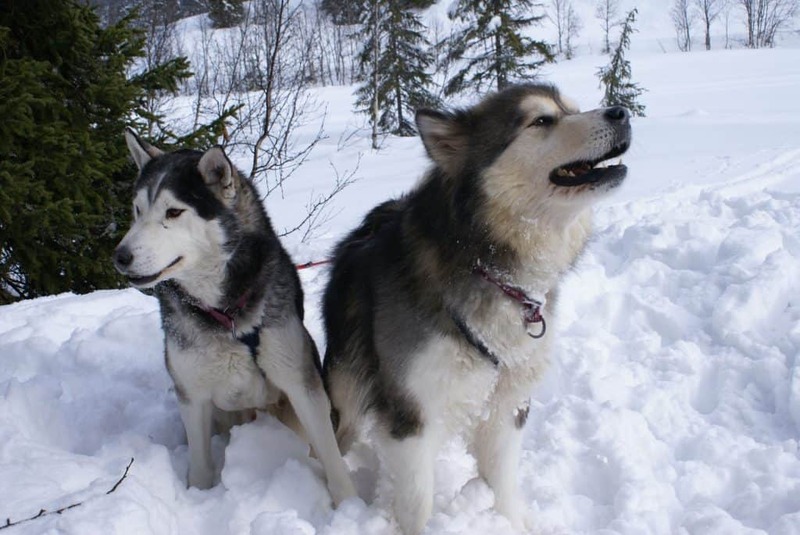 Continue reading as we discuss the history of dog sledding as well as what it looks like today. Natives used hounds and harness way before the colonization of the US. The natives and Inuit people of today’s Northern Canada invented sledding as a form of transportation of food and supplies. The earliest record to prove this dates back to 1000 A.D. Pioneers found an already established culture once they’ve arrived at the Alaskan frontier. Several records throughout the history show how we’ve been using hounds to transport goods around the world centuries ago. Russians made sledding more efficient back in the 1700s. At first, animals were arranged so there was no lead dog but they all ran next to each other. Russians then changed that by organizing animals in pairs with one leading the others. All hounds were trained according to their place. Nineteenth and twentieth century meant sudden high demand for sled hounds. 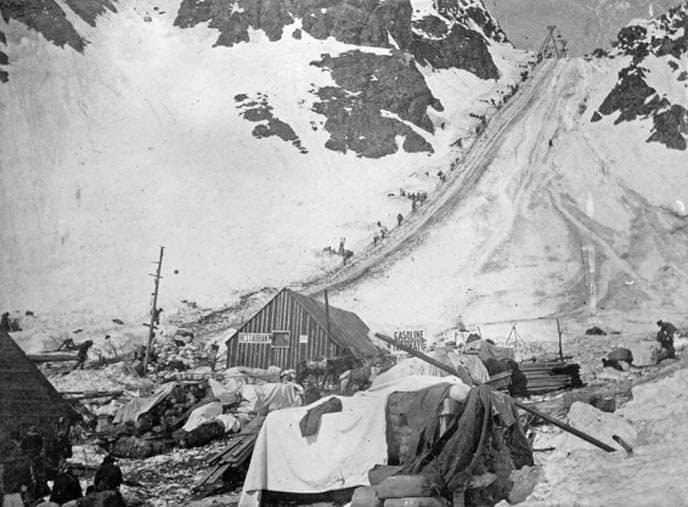 Sleds were used to transport everything from gold, mining tools, hunting camps, to food and supplies. They were now bred heavily since many cities were only accessible this way. Archeologists will say that dog sledding was invented way back by the native and Inuit people. The main reason for this is because the first archeological evidence dates back around 1000 A.D. This is when it’s believed that the first sleds were made to transport different stuff over smaller distances. First sleds probably didn’t look like the sleds used today. Today we see large sleds pulled by many canines, while back then it was only one animal hauling some firewood and supplies. After a while, people figured that more animals could probably pull more cargo. They understood that this would help them carry the load over long distances. Even then, those were much smaller than the sleds we see today. These usually didn’t have more than two to six canines pulling a single vehicle. Sleds changed over the centuries as the demand grew higher. With more cargo to carry, people needed bigger vehicles and more hounds to pull them. 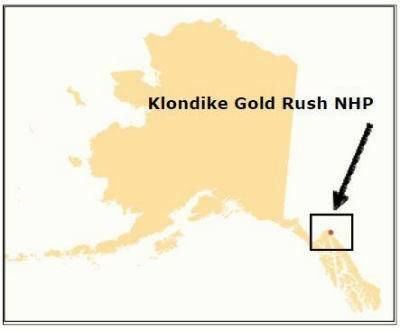 When the Klondike ‘gold rush’ started in the 1900s, there was a sudden interest in Alaska. The high demand for dogs couldn’t be met as quickly. This is what triggered the demise of the Alaskan Interior Village dog. Hounds became very valuable so for Malamutes you’d have to pay about €10000 in today’s money. There simply weren’t enough animals so some people brought European hunting hounds, or whatever breeds they could find and put in a harness. A fur trader, William Goosak, came up with an idea to use Siberian Huskies. 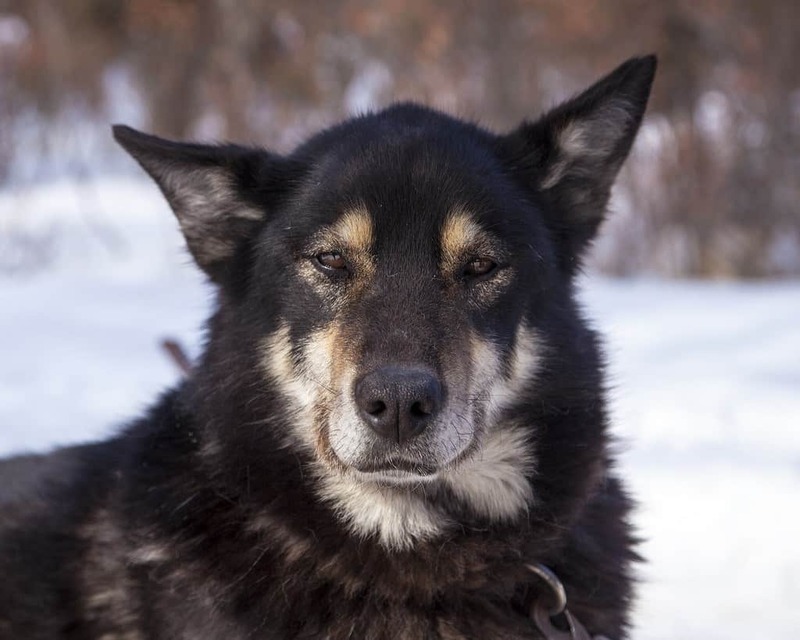 He went back and forth to Tjuktien in the 1900s to transfer hundreds of canines from the Koriak and Chukchi people into Alaska. Suddenly, many canines from many places met in one area that became a hot spot for sled dogs breeds. 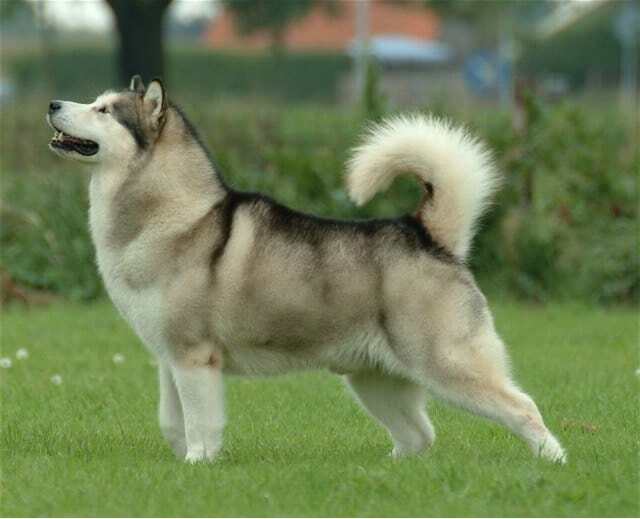 From pure-bred Malamutes, people now started using crossbreds. 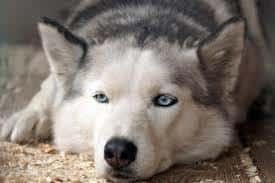 All were considered sled dogs if they could pull the weight, endure the long-distance traveling, were fast, and had a warm coat to survive the cold conditions. So it was normal to find different crossbreeds filling the demand by diverse groups such as the Royal Canadian Mounted Police, the Hudson Bay traders, doctors, lumberjacks, priests, etc. 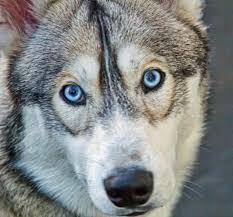 The crossbred canines became known as Alaskan Huskies and were half husky, half Great Dane, Hound, Newfoundland, etc. Racing also dates back to the Alaskan Gold rush period. At that time, many teams worked with different breeds in the same areas. After a while, teams wanted to test their pets against others. In 1908 the Nome Kennel Club was founded, and it was them who organized a 408-mile race from Nome to Candle and back. The race was named the All Alaska Sweepstakes, and it happened annually. A winner would receive recognition, money, and popularity all around the region. At first, they used imported Siberian for sledding. These hounds were known for their success in the gold rush era. Some even saved human lives more than once which gave them more popularity. 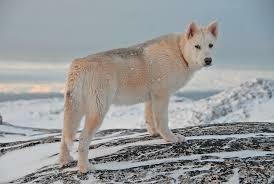 One the gold rush ended the owners of the new breed of Siberian and Alaskan huskies left Alaska. They took their pets with them which resulted in widening the geographic base of the kind. Leonard Seppala was the one who helped racing become more popular. He was asked to train a group of hounds to follow Amundsen when he tried to reach the North Pole. Amundsen then called off the expedition due to WW1 and Cook and Peary claiming the North Pole, which meant all canines were to stay with Seppala. He mixed the Alaskan Interior Village dog with his Siberian Huskies to get faster hounds. These had a happy nature and excellent work ethic, so people combined them with native village dogs to get Alaskans. Seppala’s line called Seppala Siberian Sled Dogs continues to this day. 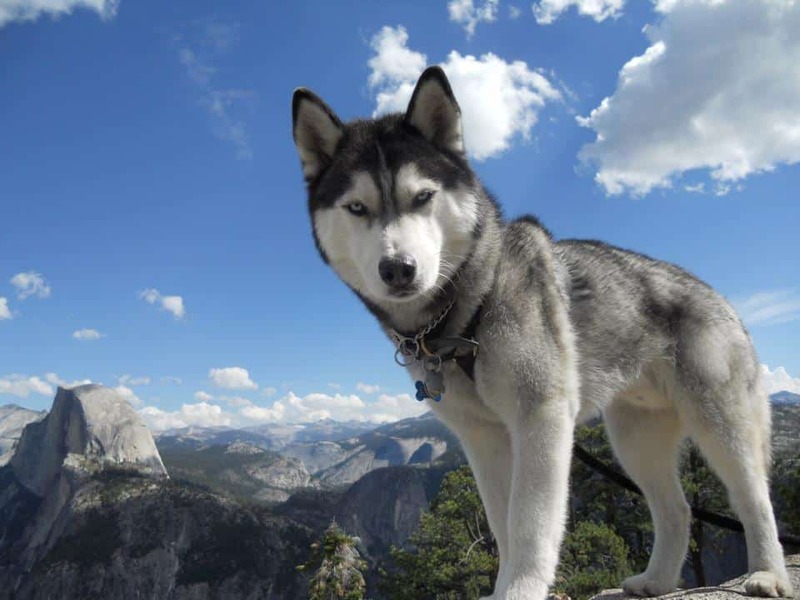 It comes out of the same ancestral base as the Siberian Husky. There are certain breeds that are best for sledding. Majority of them are huskies. 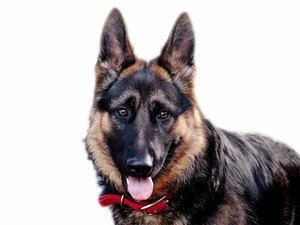 If you’re looking into other types of breeds, then read this article to find your perfect dog. These are among the most popular sled canines, and definitely the most favorite breed to use in racing. You’ll hear people refer to them as Indian Dogs since they come from Native American villages in the Alaskan and Canadian regions. They are much smaller than Siberian Huskies. Some say that these Alaskan hounds are part-wolf which is why they are somewhat harder to control and train. These Huskies aren’t a pure breed but a blend of several Northern kinds. Males usually weight up to 60 pounds while females don’t go over 55 pounds. These can be black, white, gray or orange. This medium size canine is smaller than a Malamute. It’s well-known that Siberian Huskies can pull larger loads than Malamutes, though they can’t do it for a long time. The hunter-gatherer Chukchi people of Siberia were the ones who bred these hounds. They introduced them to Alaska during the Nome Gold Rush and used them commonly for racing. 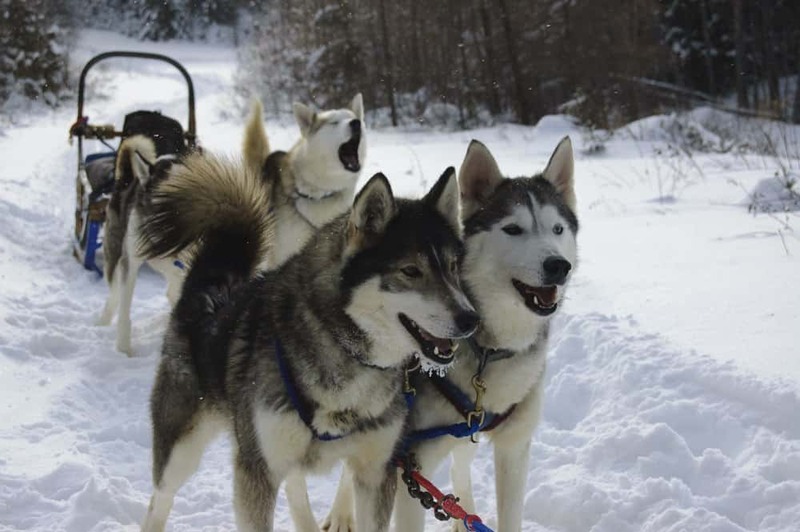 Along with Alaskan, these Huskies are among the most popular breeds to use with sleds for transportation and racing. Males weigh about 60 pounds, while females weight no more than 50 pounds. Their coat is black and white, along with some red and brown color. As we said, these are larger than Alaskan and Siberian Huskies. They have thick coats, tough feet, and broad chests. These are bred mainly for endurance and power. However, the difference is that these are a bit more domesticated. They are mainly used to pull heavy loads and for a longer time which is something not many breeds can do. Plus, this breed was used to deliver messages all throughout World War II. Females usually weight about 70 pounds while males don’t go over 85 pounds. They have a double coat with a woolly undercoat and a coarse outer coat. These originated from the Thule people of Arctic Canada. They were sometimes used for hunting by helping Inuit hunters to catch seals, ox, and polar bears. They give the impression of strength more than speed though they are very efficient pooches that were used for sledding. 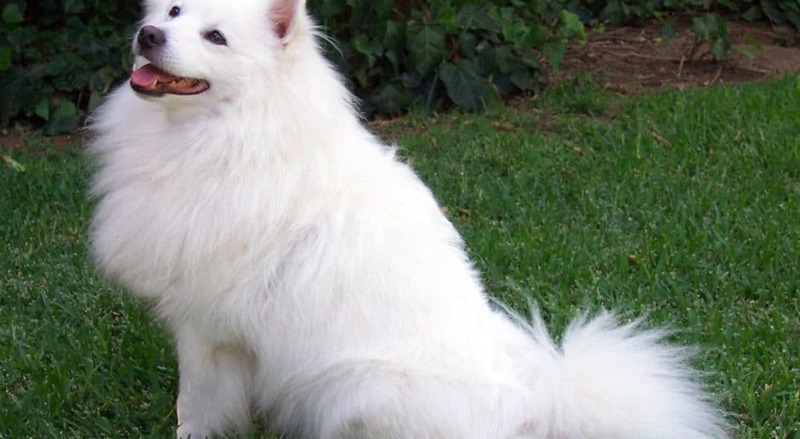 This breed isn’t as big as Malamutes or as small as Siberian Huskies, but somewhere in between. It looks quite powerful with a big neck and broad shoulders. Unfortunately, Canadian Eskimo’s are now facing extinction. It was estimated in 2008 that there are no more than about 300 purebred hounds. These are a blend of a few breeds such as Mastiff, Belgian Shepherd, German shepherd, and Greenland Husky. They were first bred in the early 1900s in New Hampshire. In native Inuit, their name means ‘warm winter winds.’ They are devoted to children and in most cases make a playful family companion. The breed is easy to train, eager to learn, versatile and adaptable. 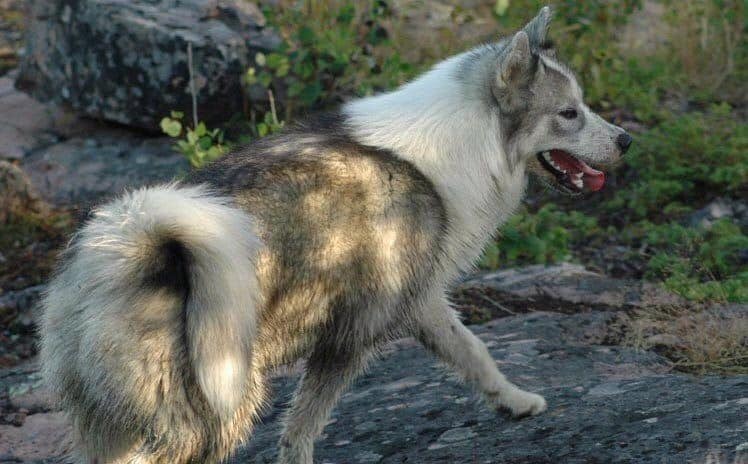 They were first used as sled dogs and still are in some places. However, today we mostly use them as family pets, for skijoring, search and rescue, and obedience. These are similar to the Canadian Eskimo regarding genetics. They are a large breed that’s mostly used for hunting and sledding. This breed was often chosen for its endurance especially during long trips across rough terrain. What’s impressive is that the first ones appeared 12000 years ago through the Thule people brought them about 1000 years ago from Siberia to North America. It’s a heavy-built breed that’s powerful and fast. Because it’s a pack hound, Greenland breeds need a firm owner to make a good pet. Once they do, they are very respective, loyal and protective. These have a Siberian descent and are reindeer herders, sled dogs, and hunters. With their snow-white fur and fluffy appearance, they are easy to tell apart from other hounds used in sledding. Over the history, this breed was always very prized by their owners. In most cases, they were allowed to sleep in the same tent, which was not as common back in the day. Today, they make great show dogs for their obedience and looks. It’s very rare to see an aggressive Samoyed as they are mostly poor guard pets. However, they are great alarm pets as they’d bark at everyone and everything approaching their territory. All the modern technology we use today has decreased the need for canines to transport anything. First things to do this were aircraft in the 1930s and snowmobiles in the 1960s. This meant we no longer needed hounds to deliver goodies, mail, firewood and all of the other stuff they used to bring to and from different areas. 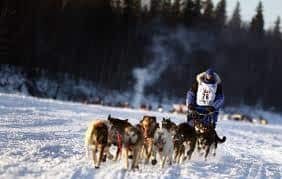 Still, to honor the history of sledding, the Iditarod Trail Sled Dog Race is held annually since the first time it was held in 1973. Every team must have one musher and a group of 21 hounds that travel about 700 miles in 6 days. The International Federation of Sled Dog Sports for incorporated in 1992 to achieve Olympic recognition. Though mushing is less common than it used to be, it lives on primarily in rural regions of Canada, Alaska, and Greenland. Today we consider Alaska as the central place for sled racing. The demonstrations and tours are a popular attraction for tourists in different parts of Canada, Alaska, and Russia. Isn’t it impressive how humans used hounds for hunting and travel for hundreds of years? They helped us with all kinds of stuff all the way from the 10th century. It’s also important to note that some regions of the world still use them today. Most pooches we described above are tough both physically and mentally. 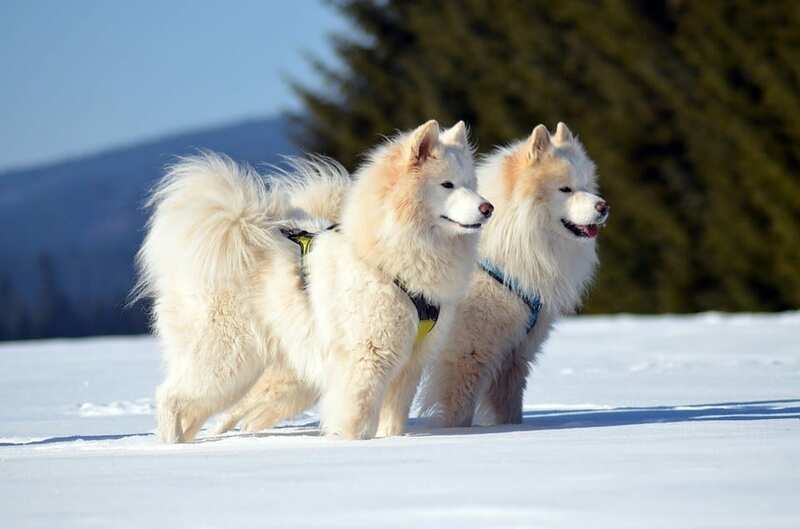 They can endure cold weather and hunger but are a little tricky to train. Over the history, they were left to manage by themselves over the summer months. This made them experts at fending for themselves and surviving on their own. Every breed used in sledding is impressive in its own way, which is why it’s important we honor them for their great history. Though sledding today isn’t what it used to be centuries ago, these hounds deserve respect for their attribution and cooperation in making rural regions more suitable for living.